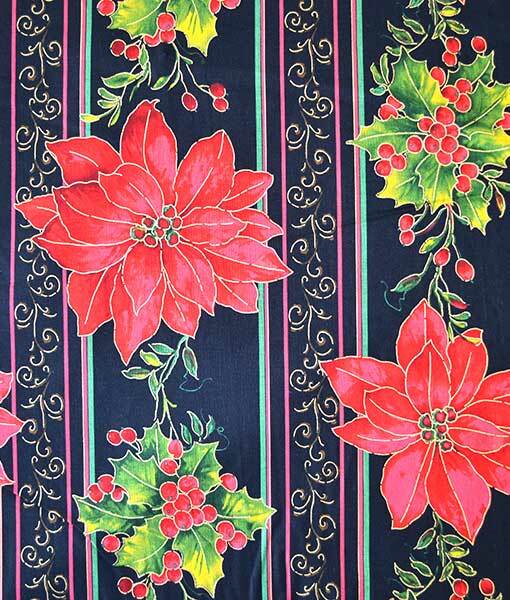 A vibrant cotton print fabric featuring a black background with vertical stripes of red, metallic gold and green with large poinsettia’s and clusters of leaves and berries dotted about the design on a black background. From R.E.D International Textiles exclusive to Fabricland. Ideal Table runner fabric.